This past Monday, June 30, 2014, The ALA Special Presidential Task Force on Equity, Diversity & Inclusion had its first, albeit informal, gathering. The Task Force (TF) was convened as one means of responding to BCALA’s statement denouncing the American Library Association’s decision to hold the 2016 Annual Conference in Orlando, Florida. The meeting consisted mainly of each member of the TF getting to know the others in a casual, self-directed atmosphere, creating a safe space for talking about differences and the issues we are meant to address, and figuring out what our immediate first steps are supposed to be. This approach goes a long way toward building consensus, which we will definitely need later on. I personally find the issue before us very daunting. I shrink before it. The decision of the TF co-chairs to establish our first meeting as a conversation, intent on honoring and acknowledging each member’s humanness and good intentions, made my anxiety subside some. The charge, “we will change the world,” became exciting and not so scary. I feel I can trust the process, my co-members, or, at least, the co-chairs of the TF. When we parted, one of the co-chairs mentioned that the hotel where we had our meeting–the Las Vegas Hotel, formerly known as the Las Vegas Hilton–was home to Star Trek: The Experience for the entire 10 years it existed. How appropriate. IDIC should be our TF motto. What wasn’t part of that oath is what people like me are getting in return for our allegiance. There are still moments when I feel like I am not so loved or wanted by my adopted nation. Even though I am obliged to defend it with everything I hold dear, including my life, I feel I can not, should not, expect anything more in return. It’s enough that I got this nifty plastic-and-polyester flag, an ornate certificate, and a passport that will pretty much grant me entry into a lot of ports. Right? I’m with Uncle George. The things I got during the Naturalization Ceremony are mere tokens. The true prize is the responsibility of being an American citizen. American democracy is vitally dependent on good people who cherish the ideals of our system and actively engage in the process of making our democracy work. I say the same goes for the work we need to do within ALA. As I became, and remain, a librarian because of the ideals of the profession, I am vitally concerned about its living up to its founding ideals. Let’s work together to make this so. Live long and prosper. On Friday and Saturday, May 30-May 31, 2014, I will be traveling to Loyola Marymount University to co-host the two-day Essential Information Workshop-Los Angeles (EIW-LA). For the past couple of months, I have been working as the Curriculum Coordinator and conducting collaborative work with Gwendolyn Prellwitz, Assistant Director of the American Library Association’s Office for Diversity, and Jennifer Masunaga, Loyola Marymount University Reference and Instruction Librarian and EIW-LA Logistics Coordinator. The work we have been doing to develop the EIW-LA event has been the most rewarding, most exhilarating part of my career as a librarian to-date. Connected to this is a poster proposal that I am working on with Isabel Gonzalez-Smith, Coordinator for EIW-Chicago, to participate in the Library Research Seminar VI at the University of Illinois at Urbana-Champaign. I hope our proposal gets accepted! 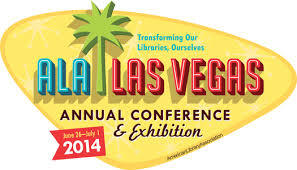 After the EIW-LA events, I will be looking ahead to attending ALA Annual 2014 in Las Vegas, Nevada. 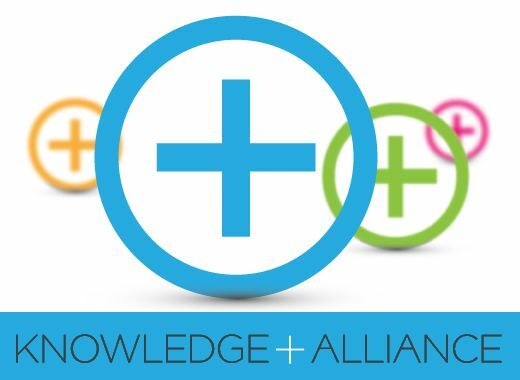 The Knowledge Alliance Initiative will figure prominently in my plans and attendance at this year’s ALA Annual Conference, though I still need to finalize all the specific events I am obliged to attend. And the ones that I prefer to attend on a just-because-I-want-to basis. Of course, hanging out with people I love are high on the priority list! As are hearing Dr. Jane McGonigal, Stan Lee, Lois Lowry and Jeff Bridges, B.J. Novak and Azar Nafisi. In Conferences past, I had prioritized work and obligations over networking, socializing, and my own personal knowledge and learning. This time, I am hoping I will be able to see all the speakers I intend to see. Because my dear spouse and our youngest child will be coming along, and we will be staying till the morning of 4th of July, I will be making a point of enjoying time and sun with them. OT: Our oldest child will be going with her theater group to Ashland, Oregon for the annual Oregon Shakespeare Festival. We’ll do something fun and with her when we get back from the conference. 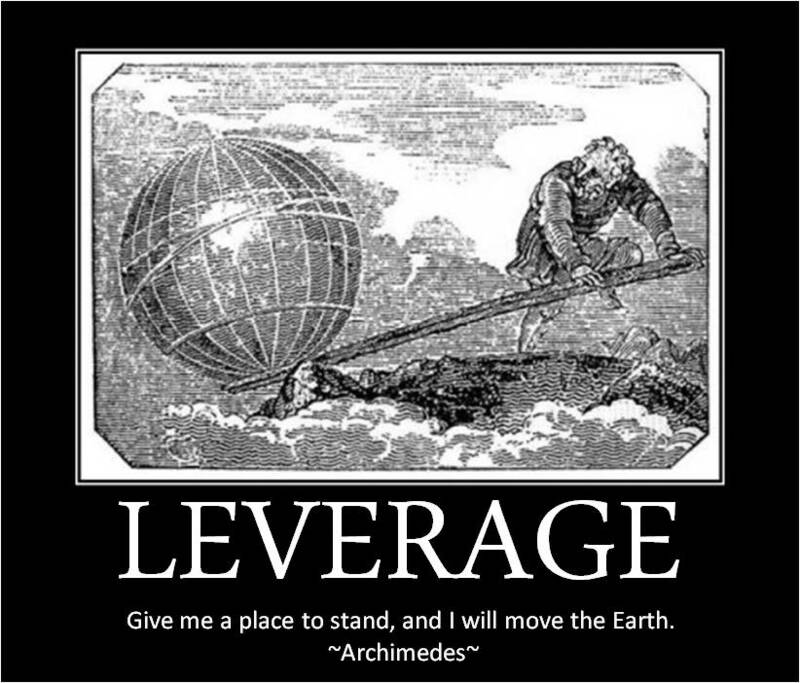 Archimedes‘ work on levers is astounding. Though he didn’t invent the lever, he did describe the principles behind it, explained why and how it worked. Archimedes, one of the greatest scientists and mathematicians of antiquity (and perhaps of all time), likely did not intend the sociopolitical application of his words. He was talking about natural physics, not social or political principles. And yet… it fits so well. 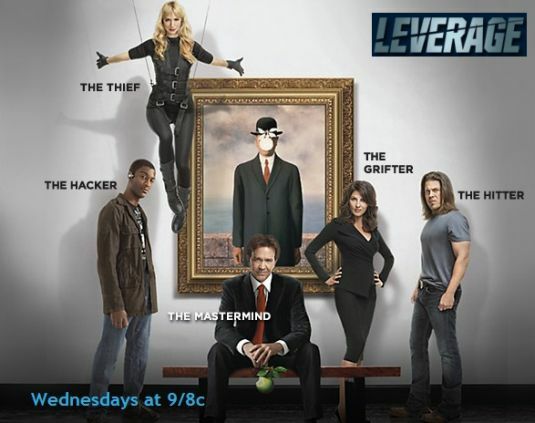 As the television show on TNT Leverage tried to demonstrate, money and prestige offer a particular power that is beyond the reach of people with less money and prestige. When faced with such obstacles and odds what are we, then, to do? You’d think that the law is a means of providing some equalizing leverage, right? Unfortunately, that doesn’t always work. While money and prestige are a type of sociopolitical leverage, the show also demonstrated that having faith and belief in people is entrusting them with leverage. That is, leverage in the sense of “a place to stand” in order to “move the world.” Shaking off labels can be very difficult. Though you may try to resist them, they inevitably leave their mark. 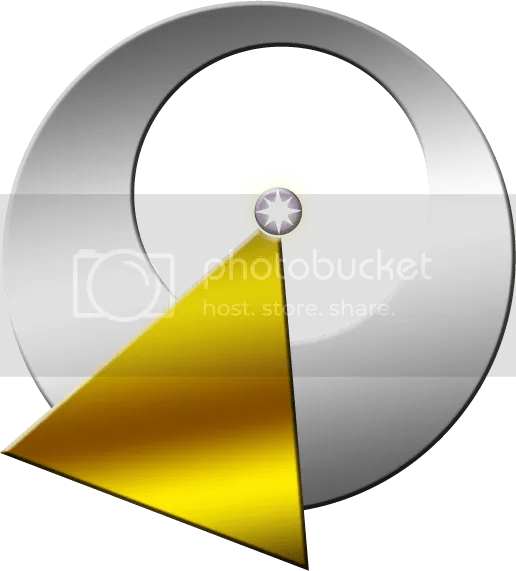 Sometimes, you don’t even need others to confirm or deny the power labels have over you–generally speaking, you can more than capably fill the role ascribed to you. This power over one is, in fact, the most insidious, damaging, and dangerous aspect of stereotypes. Combined with the categorization of people according to worth, stereotypes can be downright lethal. Nevermind that there are a few ounces of truth within each stereotype. Untempered, the bad simply outweigh the good. This said, people who give others a place to stand, who provide others with leverage, should be commended. They are enabling others to move the world. Personally, this is the sort of thing that I think about when I recall the opportunities given, and denied, to me and the people I know well. I make lists, actual and mental ones. Like Santa Claus. In no particular order, I write down and recognize who has given me a place to stand and who has denied me a place, a voice, an opportunity. I’m sure I’m not the only one who does this. The goal is to keep the lists empty–pay debts, forgive, and move on. While I work to keep these lists empty, I do remember. In either case, I am provided with fuel for the fire. Motivation. To those who have believed in me: by giving me a place to stand, I recognize your faith in me and seek to make you rest easy. I know you gambled on me and I will repay. Loyalty. To those who have thought it wise to not give me a chance, whether deserved or not: I won’t forget. ALA members to discuss controversial film ‘The Speaker’ at Annual Conference | News & Press Center. Conditionally Accepted | Who Let An Activist In Here?! Conditionally Accepted | Who Let An Activist In Here?!. Some of my random thoughts: Surviving in the belly of a very hostile beast is not easy. Thanks for the tough love. But what I really need is the gentle kind. Should I have the fortune and enough fortitude to continue with my graduate studies, it would be because of my desire to make a difference in the lives of people living in the margins. Oh, helping advance the field would be great, too, but really, it’s optional. Right now, I am glad to do what I can, in support of matters that are of gravest importance to me. Things crystallized for me, as an academic-librarian-wannabe-scholar-wannabe-activist, after reading Michelle Munyikwa‘s post, “Be Vital. Be Involved.” She writes of a woman’s plight to seek legal justice for her son, who has been jailed. She attempted to contact a number of scholars of mass incarceration, but came up with nothing. For her, this was a source of outrage and shock. How could no one have responded to her? What were we here for, studying this stuff, if we aren’t going to help community members as they need it? Many librarians believe in, are committed to the spirit and letter of service to their communities. I know many believe in, are committed to, and can articulate answers to the questions posed by the woman in Munyikwa’s post (conveniently quoted above). I do my best to stay relevant and on-top of my librarian duties by being active in the work of librarian and information professional organizations. 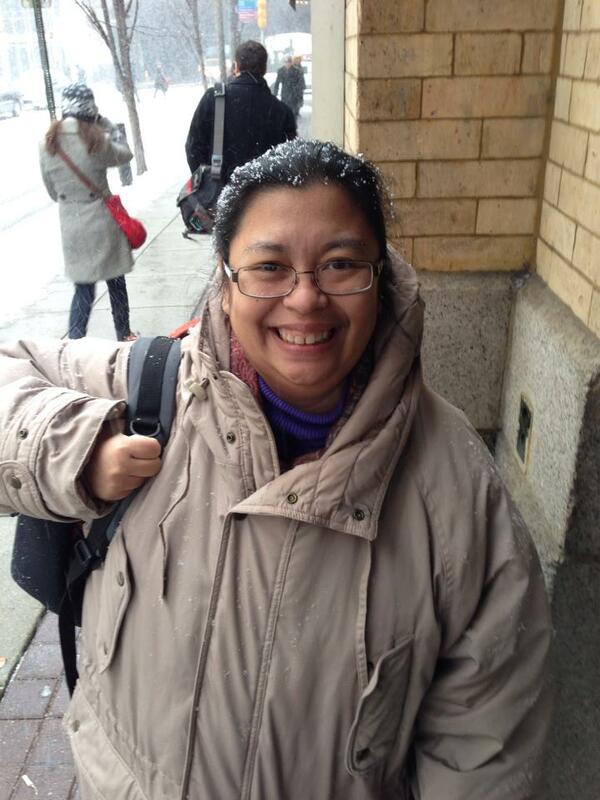 In January 2014, I attended the American Library Association’s Midwinter Meeting in Philadelphia, Pennsylvania (a.k.a. ALAMW14). I was there from Saturday, January 26 to Monday, January 27. They say, as you become more seasoned with professional conference attendance, you’ll only attend the days when you absolutely need to be in attendance. I’m finding this to be true for me. It was cold. And very slippery with ice and snow. Considering how much of a, uh, brave, fearless person I am when it comes to pain and injury, I was my active, bubbly, inquisitive self, undaunted by fear and discomfort (I’m being sarcastic here). I am learning that the best part of attending these professional conferences isn’t the unpaid, often-invisible work. The best parts are the people. I’ve come to be surrounded by really, really, really awesome librarians. They’re awesome because I like them and (oh dear gawd) they like me back. They bring out a part of me that is hidden most of the time, the part that is truly brave and assertive. Such is the power of the social. At the risk of embarrassing them publicly on the interwebz, I can’t overestimate how much this group of conference peeps mean to me. It bums me out that we only get to see each other once or twice a year. But I think about them a lot, smile at their accomplishments, and shed tears at their grief, as if these were my own. For reals. No foolin. Thanks to social media, we continue our long-distance relationships between our conference-based f2f meetings. Me @ ALAMW14. Photo credit: Lessa Kanani’opua Pelayo-Lozada. Then there are the new friends that I make through these professional organizations. I may not know them as well as these other friends I have made through ALA. Not yet. Not right now. I expect this to change considerably. Social media has made that possible, too. As I write this post, I am at the Information Architecture Summit 2014, being held at San Diego, California’s Sheraton San Diego Hotel & Marina. I had volunteered to be a graduate student assistant for the conference, so I am able to attend at a lower cost. In exchange for some time, attention, and effort, I am able to indulge (just a little bit) my info-geek-y tendencies (delusions?). I’ll be here from March 26 to March 30, keeping tabs of the Podcasting track. I’ll know more about my assignment later today, at the conference volunteer orientation. Thanks, ASIS&T! Unlike ALA, I don’t know anyone at IA Summit. I’m here because I was impressed by the speaker line-up (i.e., mostly Irene Au and Peter Morville). I wanted to hear them speak in person. And the conference is within driving distance from my house. 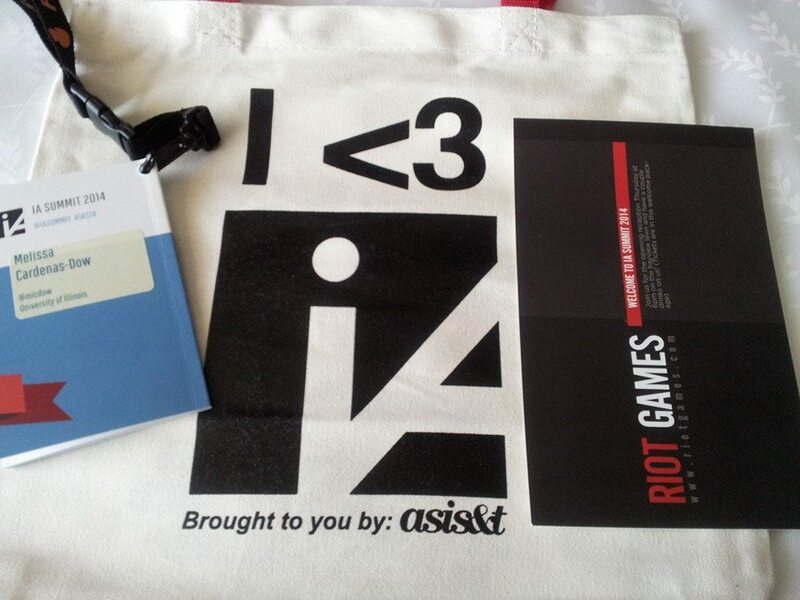 So, when the call came out for IA Summit 2014 volunteers, I said to myself, “Why not?” I didn’t think I’d get in. All I know is that I wanted to go. And I could go, if I was chosen. If I didn’t get chosen, it wasn’t Earth-shatteringly disappointing. I am already fully invested in ALA, my ALA friends, and the work we do together on behalf of the American Library Association and its members. Now I’m here. Everything’s just icing. Drinks on Riot Games during the Opening Reception? Heck, yeah. Thank you! As I will be attending ALA Annual 2014 in Las Vegas, Nevada this summer, in late June, and seeing my beloved ALA friends again, IA Summit 2014 is great practice for the networking and schmoozing (i.e., drinking and eating) that I will undoubtedly be doing. Since I have a very strong homebody streak, I could really stand to increase my capacity (while maintaining my t2 diabetes lifestyle). Joint statement from the presidents of AILA, APALA, BCALA, CALA, REFORMA and ALA | News & Press Center. Yes. Let’s see just how much we do value these foundational virtues of diversity, equity, and inclusion.